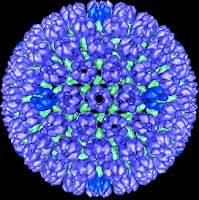 False colour image of herpes virus. 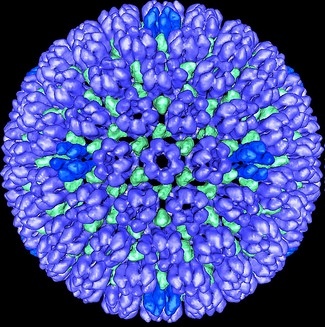 That certain viruses cause or promote cancer has been known for decades, prompting the development of effective vaccination against human papilloma virus and hepatitis B and curative drug treatments for hepatitis C to protect against or eliminate these cancer-causing (“oncogenic”) viruses. Conversely, viruses also have the potential to be useful allies in cancer treatment. Destruction of tumour cells as a consequence of viral infection was first observed in the 1950s, leading to empirical, and largely unsuccessful, clinical experimentation. In the last 20 years, the capability to genetically modify viruses and culture them consistently in quantity has allowed the practical exploitation of tumour-destroying viruses to be revisited. A variety of common viruses (including herpes, measles, and polio viruses) are “oncolytic”, that is they can selectively infect and rupture cancer cells and, in doing so, usefully redirect the innate and adaptive immune responses towards the tumour. Lysis is also believed to reveal tumour antigens normally hidden from immune system recognition and can disrupt blood vessels essential for tumour survival. The other side of immune recognition (and memory) is that prior encounters with the myriad of viruses that we are naturally exposed to serves to blunt the effectiveness of oncolytic viruses, by either thwarting their spread within the tumour, or through neutralization before the virus reaches the tumour. The latter can be circumvented by administering the virus directly into the tumour, albeit not a convenient way of dosing, while substantial ingenuity has been applied to improving the effectiveness of virotherapy through chemically masking viruses from immune recognition or using viral strains not normally encountered by humans, permitting systemic rather than local administration. Other enhancements aimed at improving the safety and effectiveness of virotherapy have included genetic modification to more efficiently target molecules expressed only by tumours, to promote viral replication within cancer cells, and to express proteins that boost anti-tumour immunity. Despite numerous clinical studies across a range of tumour types, including combination with chemotherapy or radiotherapy, consistent and compelling efficacy data has largely eluded virotherapy. This might be set to change. Virotherapy has the very useful side effect of upregulating immune checkpoint inhibitor expression, opening up prospects for improving clinical response rates in combination immunotherapy. This week saw Merck take a plunge into virotherapy with the acquisition of Viralytics, an Australian biotech that has successfully taken a therapy exploiting a common cold virus into the clinic. Merck have gambled $394 million on the Viralytics candidate being synergistic with their blockbuster PD-1 immune checkpoint inhibitor, Keytruda®. Amgen, the first global biopharmaceutical company to venture into virotherapy in 2011 with the acquisition of BioVex and its lead development candidate, since rebranded as Imlygic™ (talimogene laherparepvec or “T-Vec”) has shown that the combination of Imlygic™ and the CTl4-A checkpoint inhibitor Yervoy® resulted in a doubling in clinical response rates over Yervoy® alone in melanoma patients. Amgen and Merck are co-sponsors of an ongoing Phase II clinical study evaluating T-Vec in combination with Keytruda® in sarcoma patients. While the Merck deal offers encouragement for the raft of small and mid-cap biotechs pursuing virotherapy development, it remains to be seen whether these “living drugs” can hold their own against the multitude of more easily manufactured and administered biologic and small molecule immunotherapies also under evaluation in immune checkpoint combination studies. That said, further tweaking could eventually establish virotherapy as a potent means of triggering innate and adaptive immune responses across a spectrum of solid tumours, irrespective of checkpoint inhibitor expression, immune infiltration or degree of tumour mutation. Photo credit: Credit: NIH Image gallery. Bernard Heymann, Ph.D., NIAMS Laboratory of Structural Biology Research. 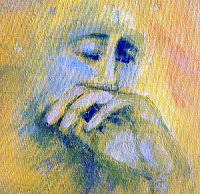 Pain, whether short, sharp and temporary, or a constant misery, affects all of us. 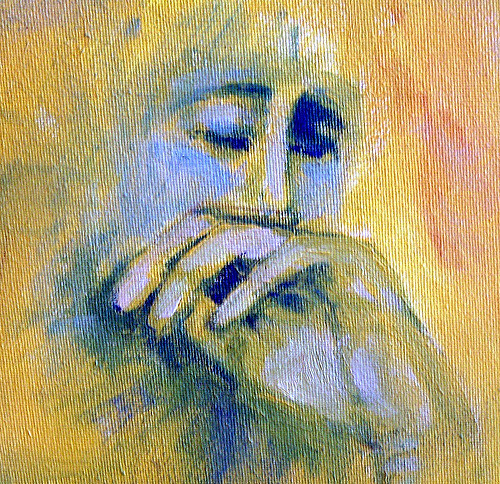 Around 20% of the adult population of Europe and the US lives with chronic pain (defined as "localised or widespread pain lasting three months or longer"), most commonly arising from low back problems, osteoarthritis or rheumatoid arthritis, and from nerve damage (neuropathic pain), a common consequence of diabetes and surgery. Pain medication is a daily and essential part of life for millions of individuals but we remain heavily reliant on a relatively small number of drug types, several of which were introduced into common use over a century ago. The origins of aspirin and purified opiates, both available commercially since the start of the 20th century, go back thousands of years, to the use of willow leaf or bark teas and extracts of poppy seeds and juices. Paracetamol (acetaminophen), was introduced in the 1950s (some 50 years after its discovery) and “non steroidal anti-inflammatory drugs” (NSAIDS), a mainstay for arthritis sufferers, during the 1970s and 1980s. Synthetic opioids and opioid reformulations, such as fentanyl and extended release oxycodone, have acquired notoriety through their association with epidemic levels of abuse and dependence but these drugs remain invaluable in the relief of otherwise intractable pain (blame the system, not the product). An analysis published by the Biotechnology Innovation Organization (BIO) highlights a surprising lack of innovation in pain drug development. While the BIO report focuses on the US, the picture is not radically different in Europe and Japan. Almost all pain medications approved for sale in the US during the past decade have been either reformulations of previously marketed drugs or have involved drugs previously approved for other indications. Only two novel pain medications have been approved since 2009, of which one, milnacipran, had previously received approval as an antidepressant. Industry’s last great foray in pain drug development ended in the early 2000s, as a class of anticipated blockbusters, the cyclooxegenase-2 (COX-2) inhibitors such as Celebrex® and Vioxx®, turned out to be potentially unsafe in a significant subset of patients. Pain drug development activity is not at a standstill, but is hardly thriving. The BIO analysis identified 220 clinical studies for pain indications, of which over half involve novel drugs. This seems respectable until you consider that, in total, this clinical development activity is less than one-tenth of the activity devoted to cancer drug development, and that the majority of cancer studies involve novel agents. Investment serves as a rough and ready barometer of relative commercial attractiveness. Novel pain drug development pulled in $576 million in venture funding during the period 2007 to 2016: in comparison, $10.3 billion was showered on novel cancer drug development during the same period. As an aside, despite the uncontested economic and societal impact of drug addiction, novel substance abuse treatments have attracted only $16 million in venture investment in a decade. Given the number of individuals in dire need of safer and more effective pain medication, why is industry and the investment community apparently disengaged from pain drug development? Perceived risk would appear to be a major factor, with the probability of FDA approval of a novel pain drug being around 2%, well below the 10% or better for drugs addressing other indications. Reimbursement is another key issue. The pain drug market is largely generic and healthcare payers demand hard evidence of superiority or cost-effectiveness of new treatments over established medications, something that’s not easy to establish given the difficulty in capturing and quantifying the subjective impact of pain in clinical studies. Even when there is a clear basis for potential advantage over existing drugs, such as with the close to market calcitonin gene-related peptide (CGRP) inhibitors which have been shown to be highly effective in migraine prevention, the inability to predict which patients are likely to respond to treatment could make payers reluctant to meet the expected $8,500 per patient drug cost. Pain is biologically complex and novel targets amenable to drug discovery are, to date, few and far between. As in oncology drug development, across the board innovation, combining AI analytics, population-based studies, biomarkers, predictive animal models and better means of patient data capture will be needed to find more prospective winners and to tempt industry and investors back to pain drug development. The American Society of Clinical Oncology’s (ASCO) annual review always makes for interesting reading. Immunotherapy continues to feature large [ASCO 2017 Annual Report again picks immunotherapy as “Advance of the Year"] , with adoptive cell immunotherapy being named “Advance of the Year”. This bespoke treatment involves genetic manipulation of the patient’s own T-cells, in which an engineered virus is used to insert DNA encoding a protein capable of recognising unique molecules present on the surface of tumour cells. Transformed cells expressing chimeric antigen receptors (CAR) are cultured in the laboratory and then infused back into the donating patient. CAR-T cells then seek and destroy cancer cells. Being a “living therapy”, CAR-T cells continue to multiply to exert a persistent anti-tumour effect. While the number of patients who have received CAR-T therapy to date is still in only in the hundreds and largely limited to certain haematological cancers, clinical response results certainly justify the ASCO accolade. Kymriah® (Novartis), the first adoptive cell immunotherapy to receive FDA approval, achieved unprecedented response rates in children and young adults suffering from relapsed or refractory acute lymphoblastic leukaemia (ALL). Over 80% of Kymriah® treated patients went into remission within 3 months, with 75% remaining still in remission after 6 months. Impressive study results have been reported for another hard-to-treat blood cancer, relapsed or refractory diffuse large B-cell lymphoma (DLBCL). Response rates to available treatments are less 10%, with survival measured in months. Complete response rates were 40% and 30% after 1 and 6 months, respectively. Moreover, treatment raised the probability of being relapse-free at 6 months to almost 74%. Another FDA approved CAR-T therapy, Yescarta® (Kite Pharma, recently acquired by Gilead) has also shown achieved complete and durable complete responses in DLBCL and other forms of B-cell lymphoma. 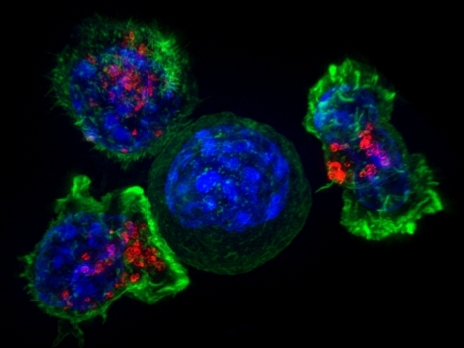 The major challenge of CAR-T treatment is management of potentially life-threatening adverse effects, which are a direct consequence of the engineered anti-tumour response, with the most serious being “cytokine storms” resulting from release of potent inflammatory molecules (including IFN-γ, IL-10 and IL-6). Some degree of neurotoxicity is common in recipients, although the long-term consequences of this are unknown. Other significant challenges are logistics and cost: as personalized living therapies, cell collection, transformation, expansion and delivery to the patient is a complex series of steps, with consistent manufacture of a safe and reliable product being the most demanding. While the list prices of Kymriah® and Yescarta® are $475,000 and $373,000, respectively (Novartis offers a rebate where patients do not respond to treatment), side effect management and other support costs can bring the total medical bill close to $1.5 million per patient. This, and complex reimbursement issues, are at least in part, factors in the low uptake of CAR-T therapy. Better definition of cost-effectiveness is needed. Despite these challenges, a variety of investigational adoptive cell immunotherapies is in the works for cancers other than B-cell malignancies, with studies underway in multiple myeloma (Bluebird Bio, Kite Pharma); ovarian cancer (Juno Therapeutics), and glioblastoma (Mustang Bio, Aurora Biopharma). Several “next generation” candidates incorporate drug-sensitive “safety switches” that allow the anti-tumour response to be turned on or off. Moving from bespoke to “off the peg” therapy using cells collected from healthy donors (“allogeneic” cell therapy) could substantially reduce the overall cost of cellular immunotherapy. Early clinical studies with an allogeneic CAR-T cell product developed by Cellectis are underway. Cellular immunotherapy development has proved to be a rocky road. Clinical study deaths have resulted in the abandonment of a CAR-T candidate by Juno Therapeutics [CAR-T: A wheel falls off, but still rolling], and clinical trial holds imposed on Cellectis (although recently lifted) and as of this week, Bellicum Therapeutics, with three unexpected deaths occurring in subjects under treatment for haematological cancers. Growing experience may allow early identification of study subjects at increased risk of severe adverse events or development of safer investigational treatment regimens. Commercial success could prove elusive for several developers with high product cost, small addressable patient populations, safety issues, and competition from both cellular and non-cellular immunotherapies, particularly in the B-cell malignancy segment, constraining uptake. Giants such as Novartis can afford the necessary infrastructure, flexible pricing and slow rate of uptake, but smaller players may join Kite Pharma and Juno Therapeutics in being acquired by companies with deep pockets.